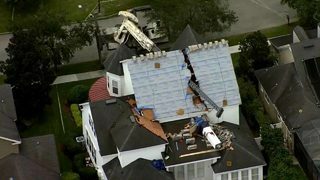 A crane crushed the top of Baldwin Park home Tuesday afternoon, splitting the home nearly in half. The crane could be seen lying directly through the middle of the roof at the home on Lower Park Road around 1 p.m.
Video from the scene showed a truck toppled over next to the home and the extended crane stuck in what looked like the second story of the home. Trevor Switzer, who works as the general manager of Gold Key Roofing, said his company ordered shingles from a manufacturer for the roofing job. He said the company that owns the crane was hired by the shingle manufacturer. “One of our side foreman was here and he sent me a photo and basically looked like we cut the roof in half," Switzer said. "There's no driveways in Baldwin Park. We've loaded plenty of roofs out here with a crane with no issues. It looks like just operator error." A woman who was near the home when News 6 arrived said she was visiting her daughter a couple houses down when the crane sliced through the home. "I just heard a little 'boom boom' in the distance and I really did not think about it," BettyLou Hyatt said. A Baldwin Park home was split in half after a crane toppled over and sliced through the top story. Hyatt said it wasn't until her daughter received a picture of the house that she realized what the loud noise actually was. "I just think they're gonna just be flabbergasted when they come home and bring their children home from school and see this house that's just been really destroyed, just in a split second," Hyatt said of her neighbors. The owner of the home told News 6 that his wife and two children were not home at the time of the incident. However, they were allowed to enter the first floor to get any belongings they need while the home is unlivable. He said he’s thankful no one was harmed. Orlando Fire Department officials said the road in the immediate area was shut down as crews responded to the scene. The crane was removed from the home at about 7 p.m. 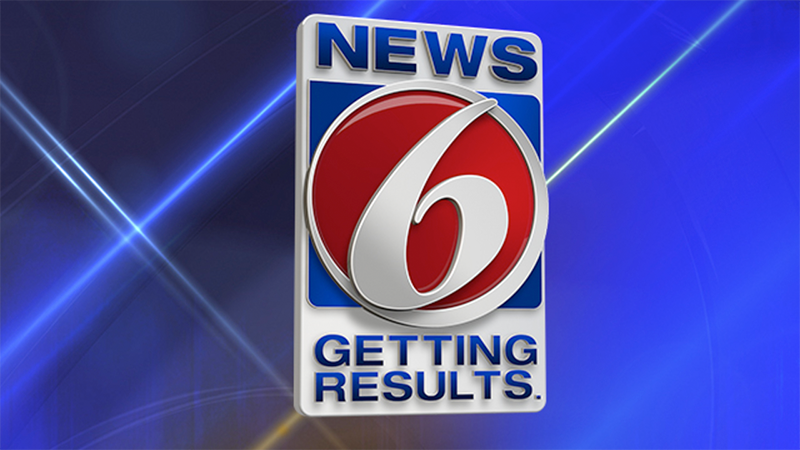 The company that owns the crane, Beyel Brothers, has yet to respond to News 6 for a comment.